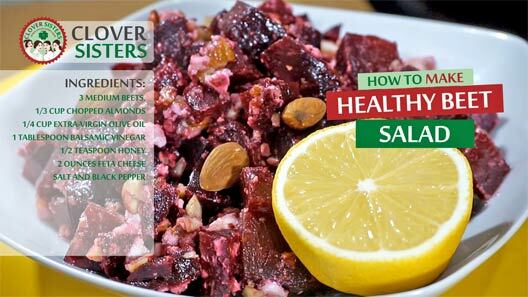 This beet salad is a delicious, very earthy, aromatic and easy to make, and an excellent source of potassium and folic acid. 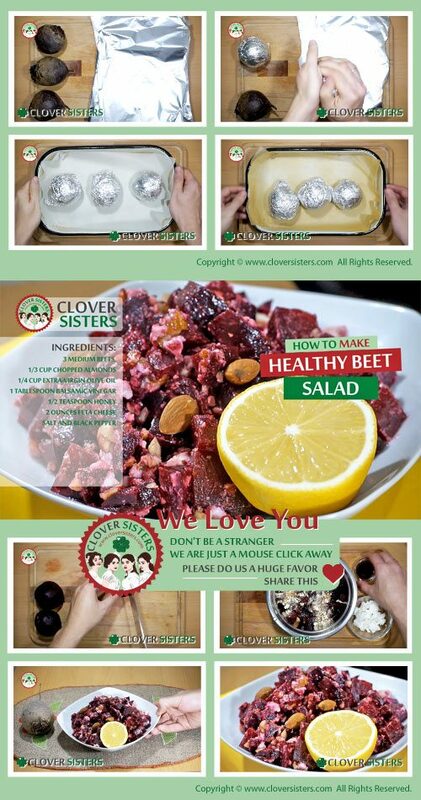 Wrap each beet in aluminum foil and roast until soft for about 1 hour in heated oven to 400 degrees. After cooling rub the skin off and cut roasted beets in to cubes. Mix them with the toasted almonds, olive oil, vinegar, honey and toss. Sprinkle with salt, pepper and crumble cheese.